Looking to make real money freelancing (and avoid low paying gig sites)? Get our guide and learn how to create a meaningful income while working for yourself. You’re sitting in your office area, staring at your computer, and dreaming of being anywhere else but at your work desk. Doing laundry, raking leaves, or even going to the gym sounds more appealing than your task at hand. Are you stuck in a 9-5 environment you don’t love? You’re not alone. 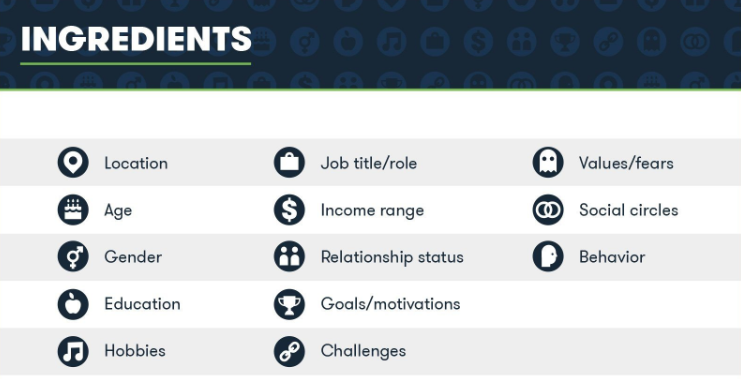 51% of U.S. employees are actively hunting for a different job or keeping their eyes peeled for other opportunities. And the number of employees that quit each year has risen since 2010. Some good news: you don’t have to be stuck forever. Even better news: rather than hopping over to yet another gig that won’t give you either meaning or purpose, you can easily pull in substantial income as a freelancer. Just how easily? 10 steps easy. Today, we’re going to walk you through 10 actionable steps to starting your own business as a freelancer. These aren’t your typical tips on how to make a buck or two as a side-hustle, by the way. These are proven steps to launching and scaling a freelance business to achieve meaningful income, both today and tomorrow. I know, I know: goal-setting seems so superfluous, but this step shouldn’t be discounted. The more specific you are with your goals, the more likely you’ll achieve (and exceed) them. It’s even better if you write down your goals, too. 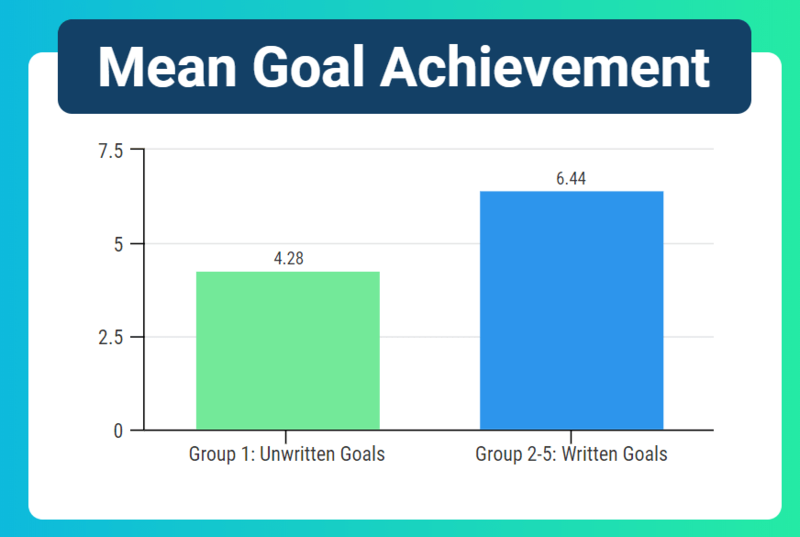 A study of 267 participants found that those who wrote down their goals achieved more significantly than those who didn’t. So while ratifying your goals may feel like an optional starting point, it isn’t. The key to making the most of your goal-setting is to get specific: rather than making blanket statements about how you’d like to make more money or have more free time, set quantifiable goals for your business. We recommend starting with these three measurement-friendly goals. How much do you want to make per year and per month? Setting your income goals early on in writing helps you determine how much to charge per client and per job, as well as estimate how many clients are needed to replace your current income. Knowing how long you have until you lose your current income gives you critical information and motivation for hitting each of your freelance milestones on time, so set a clear and specific deadline for when you’ll become a full-time freelancer. While this goal is more general, try to be as detailed as possible in defining your ideal career one year from now. What do your life and your business look like? Who are you servicing, and with what type of work? It may seem a bit fluffy, but like writing down your goal, having a clear vision can make a big difference in how and when those visions become reality. 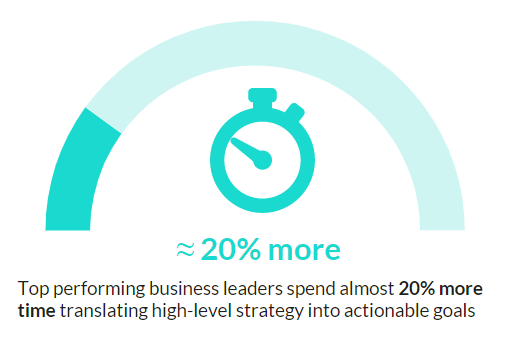 In fact, Harvard Business Review’s Paul Leinwand, Cesare Mainardi, and Art Kleiner found that business leaders spend nearly 20% more time translating a high-level vision into clear, actionable goals. 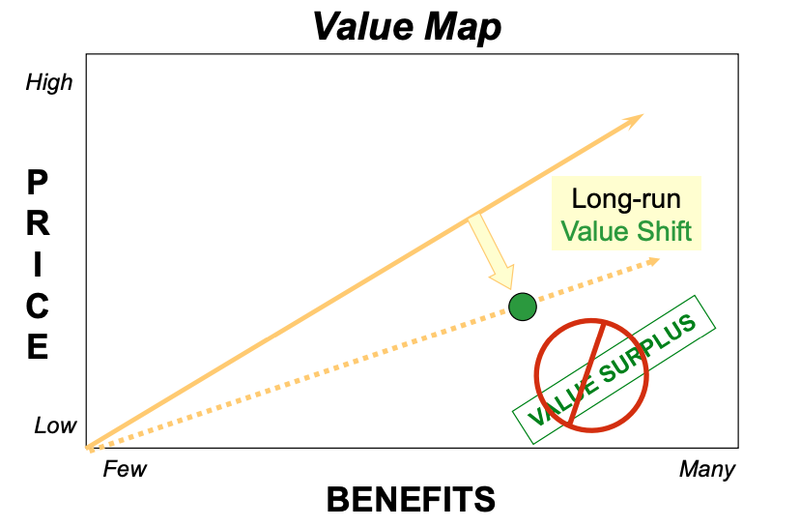 Visioning is also frequently used in product development. 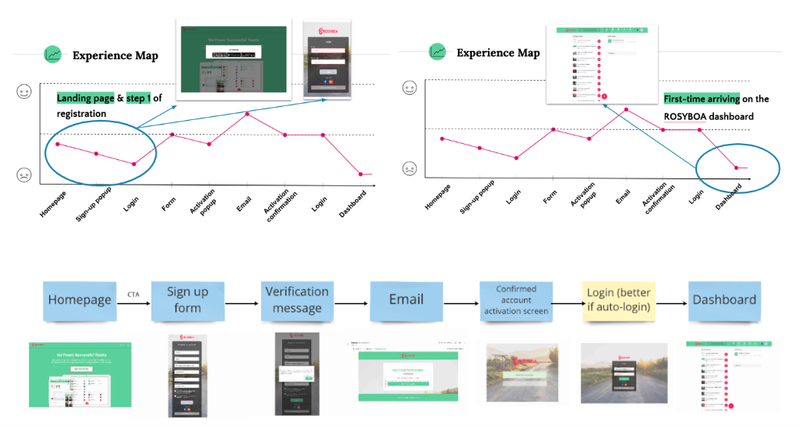 As an example, consider the case of this General Assembly team, in which experience maps that visioned the goals and solutions for users were pivotal for delivering results in a tight time frame. How tight, exactly? 2.5 weeks tight. So whether you're creating a new product or a new business, don't discount the value of setting clear, specific goals and visioning the journey from the start -- it’s just as critical for people as it is for products. To set yourself up for a successful freelancing business, be as specific as possible with your goals including defining your revenue targets, timeframe, and vision. OK, now that you can picture your well-defined future, let’s make sure you’re ready to offer an in-demand service by choosing the right niche. To start, find a combination of your skillset and your passions and make a list of ideas for your business. Once you have your list, whittle it down to one category by asking yourself about which service you’re the most qualified or comfortable offering. Then, research your competition on that topic for more ideas and to validate the market need for that service. The last research step is particularly crucial. 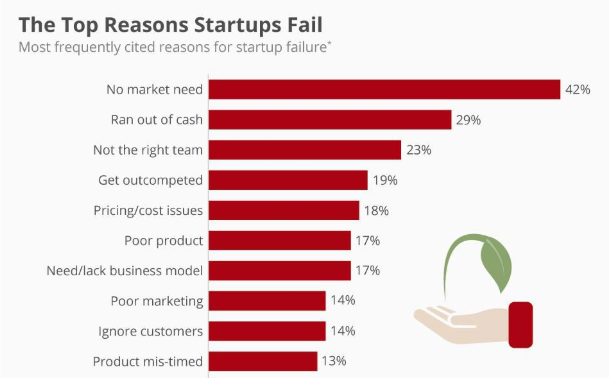 Without market validation ahead of time, you may find out there is no market need for your service, which is why 42% of startups fail. Additionally, note that while it may be tempting to accept any paid gig that comes your way when starting out on your own (i.e., you’ll take on any project, so long as you can do it), that won’t keep you within your niche lane -- nor will it get you very far over the long-term. And you’re here to make a real difference in your career. That means being strategic and selective in how you decide to work, starting with your niche. For example, “digital marketing” services is broad, while “Facebook editorial content writing” services is specific. As an another example, consider the case of Matt and Steph. 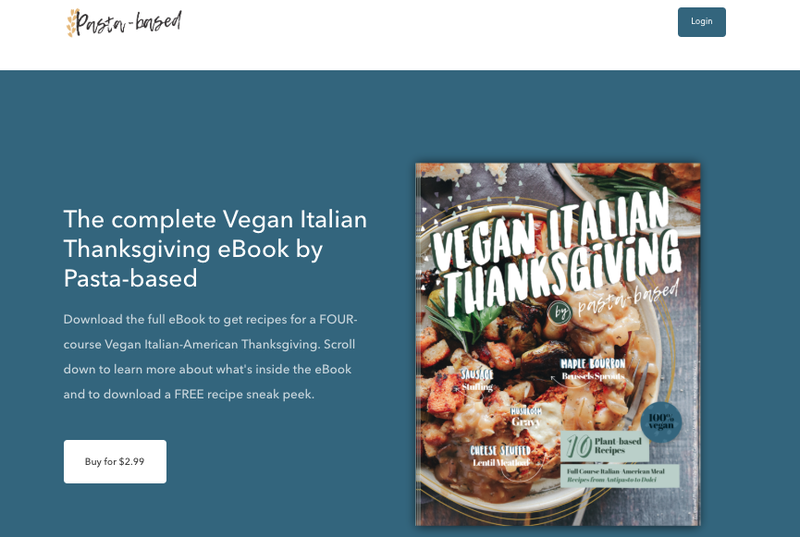 Their business, Pasta-based, doesn’t just cater to the vegan demographic: their products, such as the Vegan Italian Thanksgiving ebook, service a highly specific subset in that niche. By being so focused in their offerings, they’re able to capitalize and tap into a niche that intersects their own (profitable) interests. Here’s another example. Gary Friedman is not just any photography expert: he’s an expert on professional-grade Sony cameras. 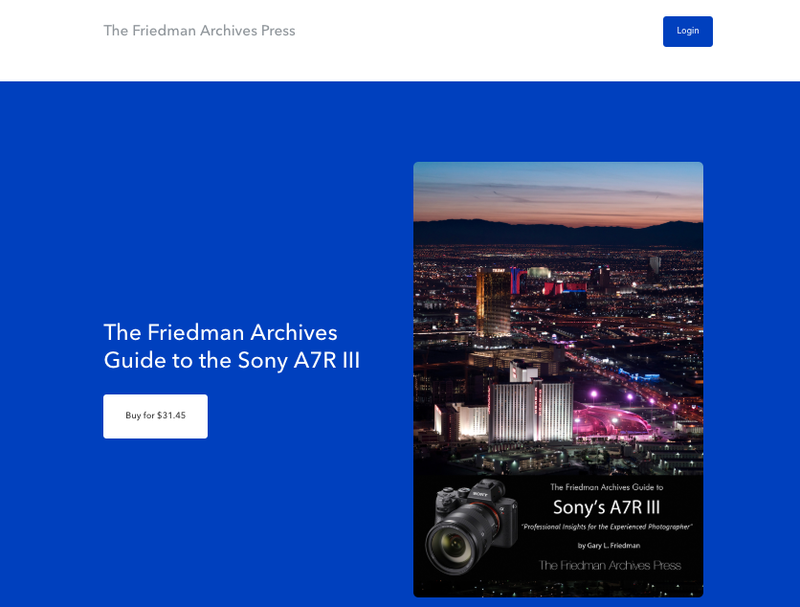 One of his digital download offers is a 700-page ebook, called The Friedman Archives Guide to the Sony A7R III, that provides his tutelage on everything this camera can handle. Gary isn’t addressing the broader audience of digital photographers. He’s speaking to a specific audience of professional Sony enthusiasts, where his target market is likely to be smaller yet more relevant and attuned to Gary’s personal interests. And that, entrepreneur and successful business owner of My PT Website, Dan Salcumbe, says is the linchpin of finding a successful niche. "A great niche is cultivated over time and born from passion, not from how much money you make from a certain demographic. Passion creates value and providing exceptional value will excel your business better than even the best marketing strategies." Basically, a specific niche equals a profitable niche. Just be sure to balance both your passions and your expertise, and conduct the proper amount of market research to validate your business idea. Your next step after that is to match your hand-selected niche with a hand-selected audience. Naturally, your target audience will also be specific. To identify your specific ideal client, a helpful exercise to run through is creating buyer personas. Buyer personas allow you to understand your ideal customers inside-out, from knowing their buyer behavior and business needs to their personal interests and where they like to hang out. But that’s not the only benefit of a well-defined target audience. The closer your understanding of your niche is to reality, the more accurate your overall marketing messages and personalization becomes. Take email, for example. 82% of marketers report an increase in open rates through personalized emails, and 75% believe it leads to higher click-through rates. Demographic information like age, location, gender, and education. Professional information like job title, role, income range, goals, motivations, and challenges. Personal information like hobbies, relationship status, behavior, fears, values, and social circles. You can even go as far as including a made-up name and mock image of what your buyer personas look like to make it more realistic and human. Caveat: To fully understand your customers, you’ll need to conduct market research by using polls, surveys, and conversations. It’s not enough to solely rely on drumming up buyer personas from statistical data. For a more thorough understanding of customer research, this article on effective customer research tells you why and how to do it for digital products. Now, armed with both a target niche and matching target audience, it’s time to move on to our next step. Per hour - we don’t recommend this pricing method over the long-term because it’s important to avoid trading your time for money when the goal is scaling your business. Per project - charging per project is less limiting that charging per hours and can become more profitable for you as you increase your skills. 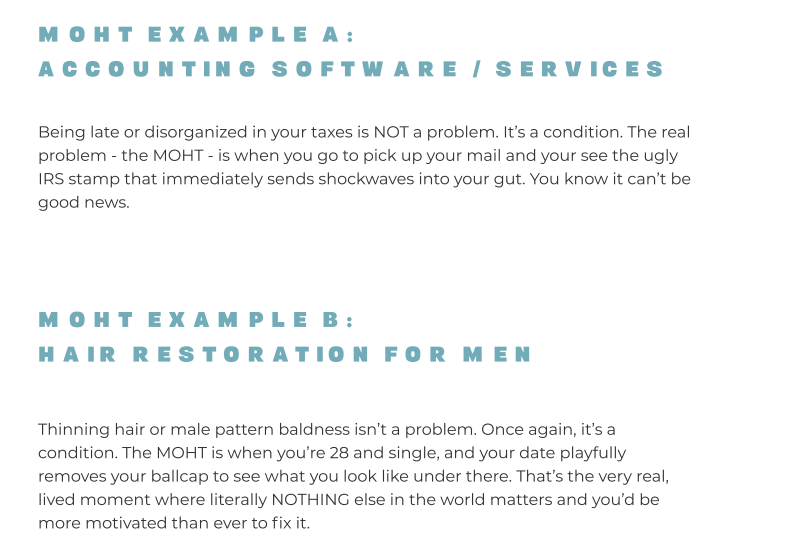 Retainer - as you grow your clientele and business, retainers are an effective way to achieve monthly recurring revenue while providing you with a more reliable annual income stream. Remember when you set up your specific business goals? Now is the time to work backward to determine how many clients you need at various price points to reach your monthly and annual income goals. Play around with various offer packages (more on offerings later) and price points. Let’s walk through an example of determining your profit margin using this formula. Say your freelance business offers design work, where you charge $750 per project, and you have a projected goal to reach $6,000 per month in gross revenue. That means you need to pull in eight projects per month since $750 per project x 8 projects = $6,000, which is your targeted monthly revenue. From there, you need to add up your expenses. Let’s say your monthly fees total $50 per month in design software, website hosting, and other online tools to run your business. To get your net income, merely subtract your monthly expenses from your total revenue, which in this case is $6,000 - $50 = $5,500. Not a bad profit margin. Note that your real profit margin will likely be smaller than this, but anything in the positive is, well, a positive, so keep tweaking the numbers until you find a reasonable and sustainable profit margin. Also, a note of caution: freelancing sites like Upwork, Freelancer, Fiverr, and 99designs push down your value. These platforms are known for fostering a price-grabbing environment where clients hunt for the lowest bids. And another from a Fiverr freelancer, who found spammers in the mix competing for jobs. These sites can definitely work for some -- Upwork has launched a lot of careers -- but at best, they’re stopgaps in your freelance career. Because, once again, you’re not in the business of making a quick dollar for a short-term side-hustle. To create a self-sustaining business out of your freelance work, you need to charge a premium for your services. So set your standards high for the long-term. The value of your service should match the benefits and delivery of your service. And, as you conduct your market research and find out more about your buyer personas, match your pricing to their particular price points. To uncover the market value that your ideal client gravitates toward, you can ask them some questions to understand more about their budget. Do you have a budget set aside for this project and is it over X? Did you have a budget in mind that you were looking to spend? OK, with pricing out of the way, it’s time for the nuts and bolts of putting your offer together, which brings us to our next step. It’s time to sum up how your target audience can benefit from your services by putting together your offerings into nice, pretty packages. As you define your offers, we recommend creating tiered packages to give your audience a few options to choose from so you can accommodate various customer needs and budgets. There have been cases where businesses triple their revenue using the three-tier pricing model. 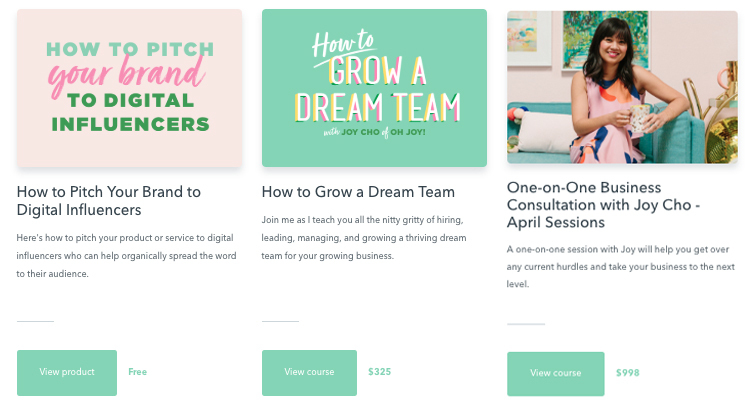 Lifestyle brand owner and business consultant, Joy Cho, offers tiered packages to her audience with prices ranging from free to $325 to $998, which gives her audience a ladder of products to climb as they get to know her and the quality of her service. Plus, by offering her free product, Joy is able to give brand new audience members a sample of what it’s like to work with her. If those folks are happy with the results they achieve from her freebie, they’re more likely to opt-in for her paid services. Tip: when creating your offerings, focus on the results that you’ll be delivering to your clients. Here’s a more practical example of this concept. Flights for What is an online course that sells results. By purchasing the four-week course, you’ll be able to walk away with tactical tips and strategies that save you over $2,000 in travel-related expenses. By featuring the results in your offerings like Felicia does, your audience can better understand the tangible outcome they’ll achieve when purchasing one of your packages. So, at this point, you’ve decided on your big missing puzzle pieces: your goals, niche, audience, price, and offers. Now, where do you house everything? We’ll explain in our next step. To make your freelance business official, create an impressive freelance portfolio website. This is where you show off everything you can deliver to your target audience. And how important is it for your website to look good? Pretty important -- 75% of people judge your credibility based on your site’s design. In fact, the way you design and showcase your offerings greatly impacts your audience’s first impression of you. 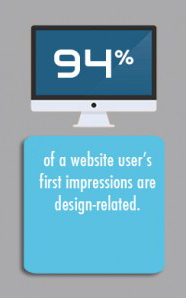 After all, 94% of your audience’s first impression is design-related. 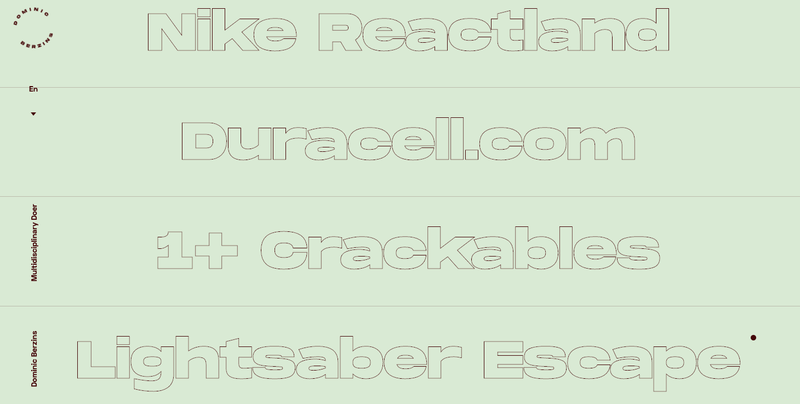 If you want to create your own website, some top website builders include Wix, Squarespace, Weebly, Fabrik, and SmugMug. To use a portfolio host’s site, some free options to consider are Behance, Dribbble, Coroflot, Adobe Portfolio, and Carbonmade. And with your portfolio website now all set up, let’s dive deeper into the third component in our next step. When it comes to building your credibility and trust among your future clients, there’s nothing like hearing about it from other clients. People are looking for results and what better way to hear about results than from other people who’ve gotten them from you before? 57% of consumers believe that online reviews are either “extremely important” or “very important” before deciding to purchase a product. 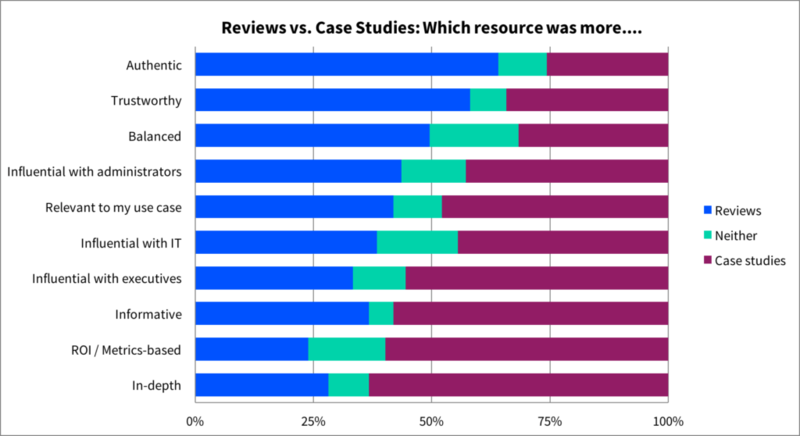 Reviews are more authentic, trustworthy, and balanced, while less metrics-based, less in-depth, and less informative. Conversely, case studies are more metrics-based, in-depth, informative, and influential with executives, while otherwise less authentic, trustworthy, and balanced. Even if you have an open project that’s not yet complete, it’s still an opportune time to ask your client to vouch for you. If they’re happy with the work you’re doing and you’re top of mind, take advantage of the momentum and capture that customer satisfaction by asking them to provide a testimonial for you. Either way, the main takeaway is to start this process as early as possible. You can always move your most compelling client stories to the top spotlights on your site as you collect them. Then, you just need to focus on your marketing messaging. I’ll explain. When it comes to converting your clients, you need to capture not only their attention but also tap into their emotions. Emotional marketing, where you use emotion to nurture your audience, is a powerful method you can use to help your business stand out among the rest. 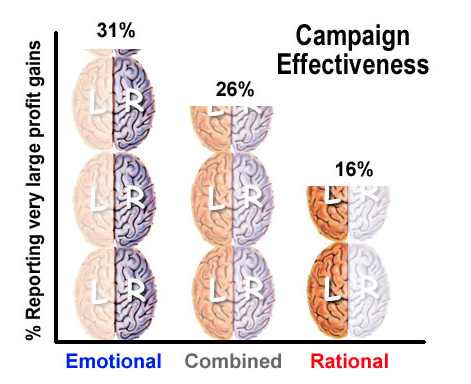 Out of 1,400 successful ad campaigns, those that featured emotional content performed 31% better than “rational” campaigns. Course builder expert and author of Teach and Grow Rich, Danny Iny, recommends you first conduct your market research to find out in your target audience’s words what their real-life problems are. Danny calls this mining for problem language. Low-touch research - without having to speak directly to your ideal clients, you can opt for online research by doing keyword search analysis, reading related blogs, reviews, forums, and other websites, or “listening” in social media groups and platforms. High-touch research - by having first-hand conversations with your ideal clients, you’ll uncover in your one-on-one interviews a more accurate sense of their pain points. You can either conduct informational interviews or extend free coaching calls. So as you can see, the medium alters the message, and when the message pertains to your products or services, it’s an important one to get right. Pro tip: The longer your audience’s responses, the more emotional triggers you’ll have access to, so be sure to ask probing questions that dig deeper and listen carefully. From this reader’s response, you can basically only siphon that they’re interested in growing their own company -- but beyond that, not a whole lot more. Is interested in understanding the journey of entrepreneurship. Is not interested in just another “how to” format. Appreciates humility and honesty and wants to hear about pitfalls in entrepreneurship. Wants to hear more stories about enduring the hardships that come with owning your own business. Values employees as important resources. Has potentially lost faith at one point in the tenacity, resilience, and humanity of today’s entrepreneurship. All this info will help you speak to your customer’s problems, and hence, serve them the right solution. Once you have your problem language collected, it’s time to construct your copy through storytelling, which is our next messaging concept. 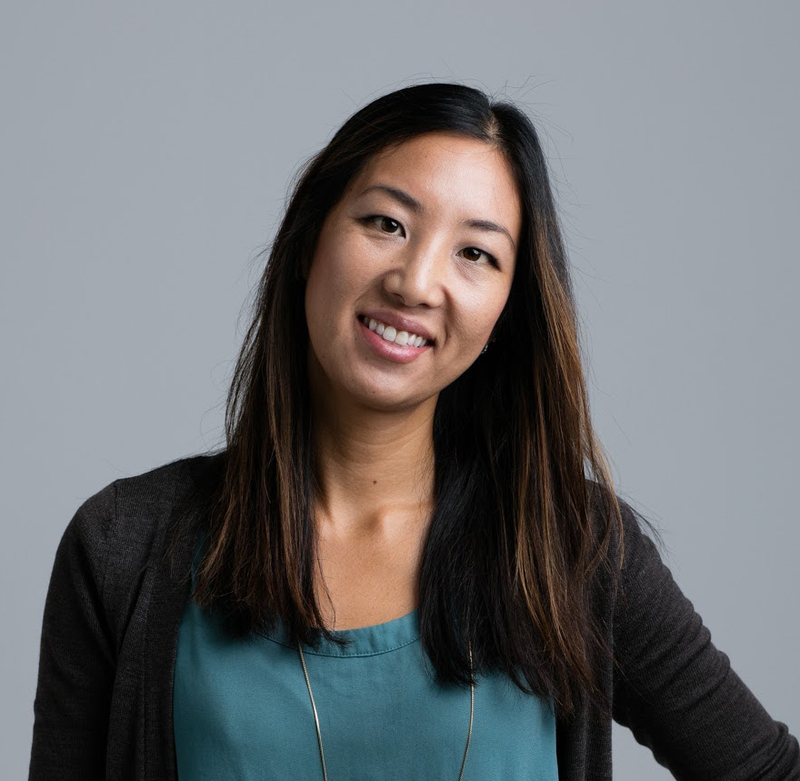 Copywriting guru and founder of Copyhackers, Jo Wiebe, is known for teaching businesses to write sales and marketing copy that converts. Describing the pain point as “late taxes” isn’t enough, whereas the sinking feeling you get at your mailbox when you find the IRS notice vividly paints the actual moment of tension. Moment of highest pleasure (MOHP) - on the back end, close the loop and describe in detail the most satisfactory moment your ideal client will experience after having hired you as a freelancer. Rather than saying “all caught up on your taxes,” describe that high moment of being utterly carefree on vacay with your family and receiving unexpected income. Bottom line: To convert your ideal clients, relate to them on a deeper emotional level by using their exact problem language and describe moments of pain and pleasure in your copy vs. listing out worries, struggles, features, or benefits using your own words. And now that you have a better understanding of how to speak to your target audience more effectively, you’re ready to push out all that marketing language to your ideal clients and pull in some sales. For people who are starting out, the world of digital marketing can be quite daunting, which is why so many people are afraid to take the leap and leave their less-than-ideal jobs. One of the biggest fears for entrepreneurs is not knowing where or how to find a reliable source of paying clients. I get it. How the heck do you accumulate a steady flow of paying clients? There are so many latest and greatest marketing and sales tactics, it’s cumbersome to sift through it all to find out what exactly works best for your business. 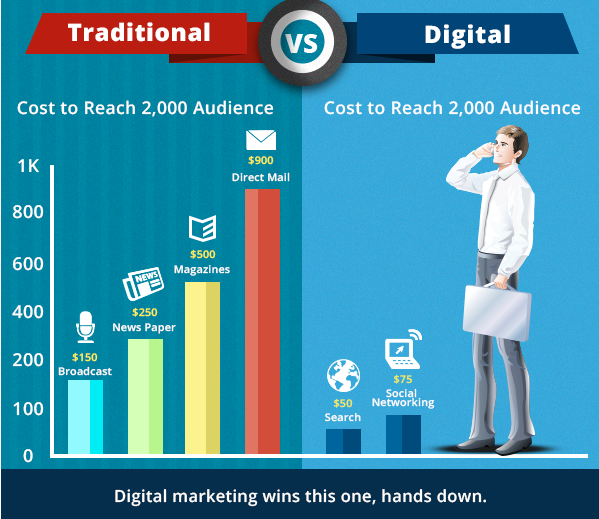 Let’s simplify the noise for you -- digital marketing is the way to go. 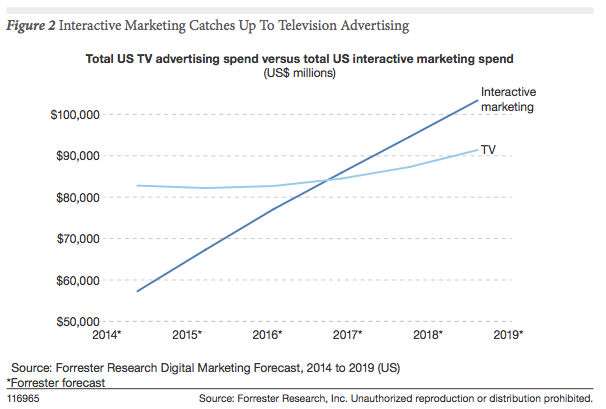 In today’s world, interactive marketing has surpassed the traditional method of television advertising. And that means digital marketing, which is more affordable and effective than traditional marketing, is a strategy that even new business owners can use to compete. And if you’re looking for specific marketing tactics, check out these 16 fool-proof marketing strategies (hint: if you’ve been following along these steps in this freelancer guide, you’ve already completed the first three marketing strategies). Even if you’re not selling an online course, these marketing strategies still apply. And they’re all achievable for beginners, too. As an example, owner of MegaMaker, a business that helps developers with their marketing, Justin Jackson, was able to make over six figures annually by initially started a blog, which grew into a podcast, and eventually into a very profitable online course. Here’s his current podcast, called Product People, where he and his friend Kyle produce helpful content about products and developers. Basically: thanks to the advancement of the digital world, you have several realistic and effective marketing strategies to choose from as a freelance business that’s starting out. And now for our final step. Once you have a decent flow of business coming your way, don’t stop there. It’s time to productize - in other words, turn your service into a product to sell. The last thing you want as an employee who’s gone solopreneur is to create yet another job for yourself. Instead, you want to build a real scalable business, so you don’t have to trade your time for dollars. Digital downloads - this will help you get your first online leads through the door. By creating a bite-sized offering of your service, your ideal clients can get a taste of what it’s like to be your customer while you get paid for offering that sample service. As an example, Nora Conrad offers her potential clients a downloadable intro to her main service of decluttering, simplifying, and organizing lives through The Zero Strategy, which is priced at $27. By giving them a lower-priced offer, her clients can test out her services first before deciding to commit to her other higher priced options. Online course - use the power of education to turn your service into a product. An impactful way to scale your service is to bundle it into a format that teaches your ideal customers how to get their desired results. 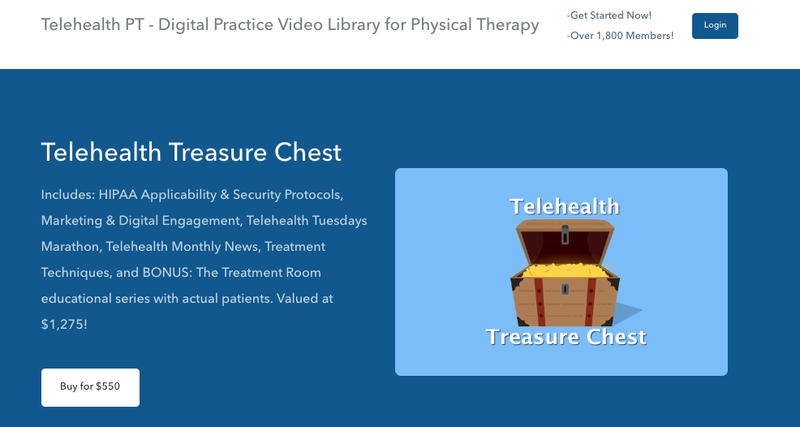 Telehealth repackages their educational content turning their primary offer of training and consulting service into a scalable online course, which frees them up to train other, higher-paying clients -- or do anything else they want with their time. Online membership - this is a great way to not only keep your customers engaged, but also to make some recurring revenue. 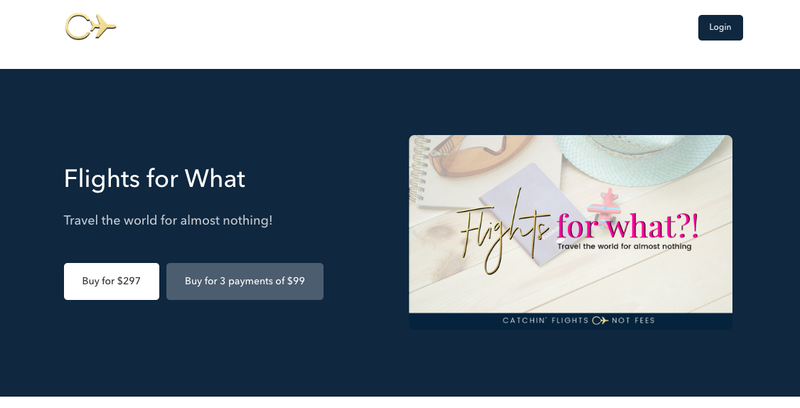 By hosting an online membership site, Chantel is able to consistently provide her members with valuable content, while engaging them with her other digital offers. Plus, she gets reliable, recurring revenue out of it. Win-win, right? 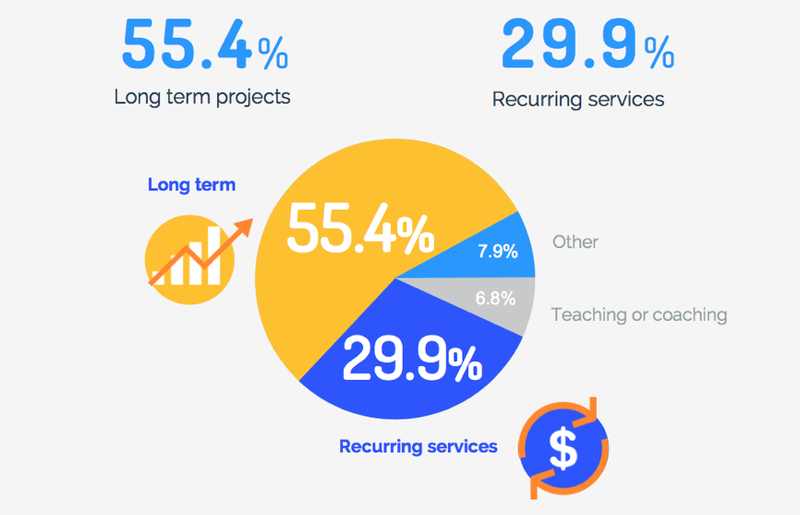 By productizing your service, you can scale your freelance business to service more people, and hence, make more money in the process. Which means you can enjoy a steady stream of income, more free time, and avoid being spread too thin over the long run (after all, burnout often happens among entrepreneurs). Now, ready to get started on your freelancing career and productizing your services? There’s no better time than today, and with a free, no-obligation trial, there’s only one thing standing in your way. Making money as a freelancer is not only a liberating experience when you quit your 9-5, but it can also create lasting changes to your lifestyle, giving you a more permanent type of freedom. Step #1: Get specific with your goals so you can better attain them. Step #2: Find a profitable niche to carve out your specialty in the market - niche markets outperform generalists (by far). Step #3: Identify your target audience to match your business niche. Step #4: Set the right price for your target audience and avoid undervaluing your services. Step #5: Define your offerings and packages them into a concise presentation that your ideal clients can quickly digest. Step #6: Create a top-notch portfolio website - this is where you showcase your best stuff and build your credibility. Step #7: Gather client testimonials to strengthen your credibility over time and feature them prominently. Step #8: Master your sales and marketing messaging. Two effective ways to do this are to use your audience’s exact problem language and infuse storytelling that describes your audience’s moments of tension and pleasure. Here’s to building a freelance business, plus an entire lifestyle change, that you love.